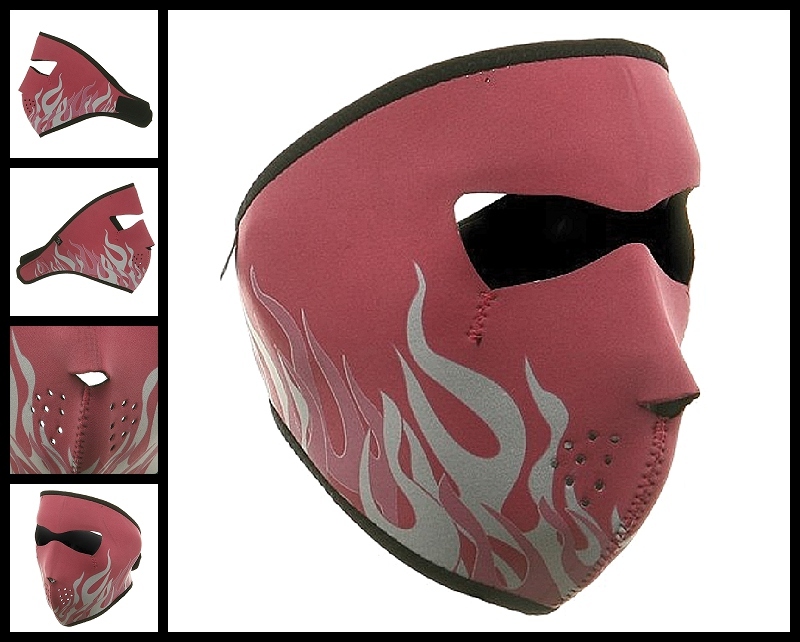 Women's Pink & White Flame Neoprene Face Mask are unique, inexpensive and factory direct Biker Facemasks. Ladies might enjoy wearing this Pink Face Mask on their motorcycle or scooter. Many ladies love to wear this facemask on dates to fancy restaurants. Pink Flame Neoprene Facemask feature full coverage of the face and ears. Stretchy neoprene material is warm and water resistant. Patterns are reversible to solid black material. Velcro closure ensures great fit with goggles, with a helmet or without. One size fits most. Pink & White Flame Design.